A nuclear power station operator has been fined £250,000 for allowing radioactive waste to seep into the ground over a 14-year period. Waste leaked from a sump in a decontamination unit at Bradwell power station in Essex between 1990 and 2004. Magnox Electric was convicted of breaking legislation governing the disposal of radioactive waste. The company was also ordered to pay £150,000 costs following the trial at Chelmsford Crown Court. Magnox denied allowing waste to seep out in breach of legislation but admitted failing to maintain a sump at the power station, which stopped operating in 2000. The court heard Magnox had been fined £100,000 eight years ago, after being convicted on similar offences. In that case, the company failed to maintain equipment, breached laws governing waste disposal and failed to inform industry watchdogs of an unlawful discharge at Bradwell and at the Hinkley Point power station near Bridgwater, Somerset. A statement by Charles Oliver, Magnox's general counsel, said: "Throughout the proceedings it has been common ground between the parties that there was never any risk of any harm to the general public and no prospect of any of the waste ever leaving the licensed site. "We believe that it is important to remember that the charges cover a period going back almost 20 years, when the Bradwell site was run and operated by very different legal entities." 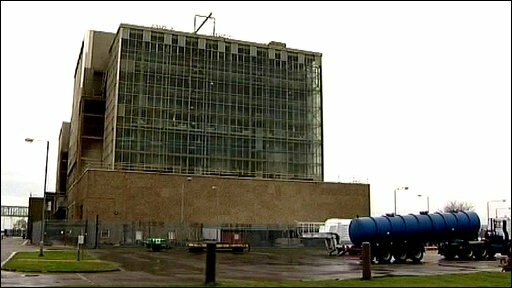 Jurors were told "radioactive water" had leaked from a decontamination unit at Bradwell between 1990 and 2004. The court heard Bradwell was built in the late 1950s by the Central Electricity Generating Board and began producing electricity in 1962. The plant was controlled by Nuclear Electric from 1990. Nuclear Electric became Magnox in 1996 and they operated the plant until it was handed over to the Nuclear Decommissioning Authority (NDA) in 2005.